Explaining the Brexit maze: What happens next in Britain and the EU? Ousted Nissan boss Carlos Ghosn is back in the Tokyo detention centre where he previously spent 108 days, after being released just last month on a $9 million bail. Prosecutors arrested the once-feted executive on fresh charges of financial misconduct on Thursday. Ghosn has said he is innocent of all charges and the victim of a boardroom coup. His lawyers have accused Japanese prosecutors of trying to muzzle him. His former employers, Japan's Nissan and France's Renault, initially appeared to be at odds over his case when he was first arrested in November, but now seem to have closed ranks against him. WHAT ARE THE NEW ALLEGATIONS, HOW ARE THEY DIFFERENT? Ghosn was arrested again on suspicion of funnelling $5 million from payments made by a Nissan subsidiary to a third party for personal gain. An internal Nissan investigation has identified the party as a Nissan distributor in Oman. He is already fighting charges of under-reporting his Nissan salary for nearly a decade through 2018, and a charge of temporarily transferring personal financial losses to Nissan's books during the global financial crisis around 2008. The new allegation is potentially more serious, as it could show that he used company funds for his own purposes. Renault too is investigating payments it made under Ghosn's watch to the same company in Oman. The outcome of that probe could deepen the French automaker's exposure to the scandal, which so far has been largely focused on Nissan. 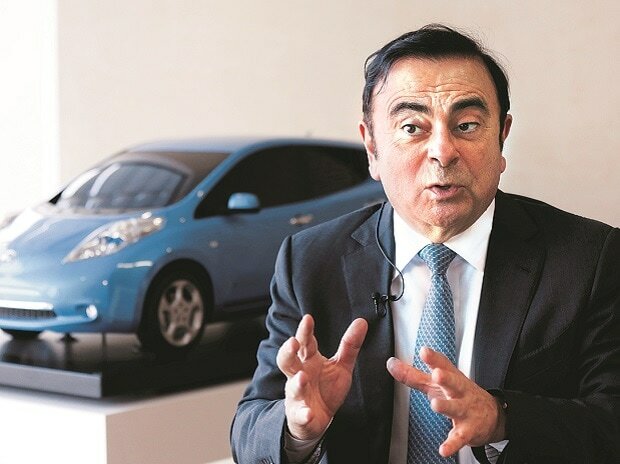 HOW DOES THE NEW CHARGE AFFECT GHOSN'S TRIAL? Ghosn's lawyer has said the new charge will prolong his legal proceedings. It is, however, not clear how much more prison time he could face if charged and found guilty on the latest allegations. He already faces a maximum of 10 years and a 10 million yen ($89,517.50) fine if found guilty of the current charges. Ghosn's trial is expected to start later this year. HOW CAN GHOSN BE RE-ARRESTED WHEN ALREADY OUT ON BAIL? Arresting a suspect who has been released on bail is highly uncommon, and Japanese prosecutors have said they "humbly" recognised any international criticism over the latest arrest. But prosecutors also cited the concern that Ghosn could destroy evidence while out on bail as impetus for arrest. Legal experts say that re-arresting a suspect who has been released on bail suggests that prosecutors continue to look for new charges - and may be concerned about the chances of winning a guilty verdict with the current charges. WHAT'S CHANGED SINCE GHOSN'S INITIAL ARREST? Since his November arrest on the tarmac of a Tokyo airport, Ghosn has faced a swell of allegations. Renault initially sought to avoid being drawn into the investigation initiated by Nissan - which ousted Ghosn as chairman days after his arrest - and for weeks avoided sharing the Japanese partner's findings with its own board. He was forced out as Renault chairman and CEO in January. Nissan has found that its own regional subsidiary made questionable payments of more than $30 million to the Omani distributor, while one source has told Reuters that the total sum paid by Renault is in the double-digit millions. Renault has also turned over evidence that the 50,000-euro ($56,145) rental of Ghosn's Chateau de Versailles wedding in 2016 had been improperly charged to the company. Nissan's investigation has also revealed the purchase of several properties around the world, including a Beirut house, by the company for Ghosn's use. A joint audit of the Renault-Nissan BV alliance management organisation has tallied 1.2 million euros in Lebanese donations and another spending of questionable benefit to the car makers, among preliminary results presented to Renault directors. It has also been alleged that he used around $600,000 in Nissan funds to pay his children's university tuitions. Sources told Reuters this week that Renault had uncovered suspect payments to a Renault-Nissan business partner in Oman while Ghosn was CEO, which may be connected to the purchase of a luxury yacht worth millions of euros. Ghosn will remain in custody until April 14 after a court approved his detention. Prosecutors can apply for an additional 10 days detention, after which they must indict or release him. If indicted, Ghosn's legal team can apply, again, for bail.